Here at Dom’s Favorite Burgers, we wanted to try something new… Something different. We have a philosophy of doing things right, the first time– every time. We believe that cooking the food, delivering it to the location, and then serving those lukewarm dishes is wrong… We also believe in maintaing and creating new standards in the catering world by serving your meal how it should always be: Fresh off the grill! Serving parties of 10 up to 40, the DFB catering team will come prepped to your house and grill the burgers right in front of you! Bringing the best qualities of a restaurant right to your home, we readily encourage the idea of a fine dining experience, while promoting a private encounter between you and your guests. 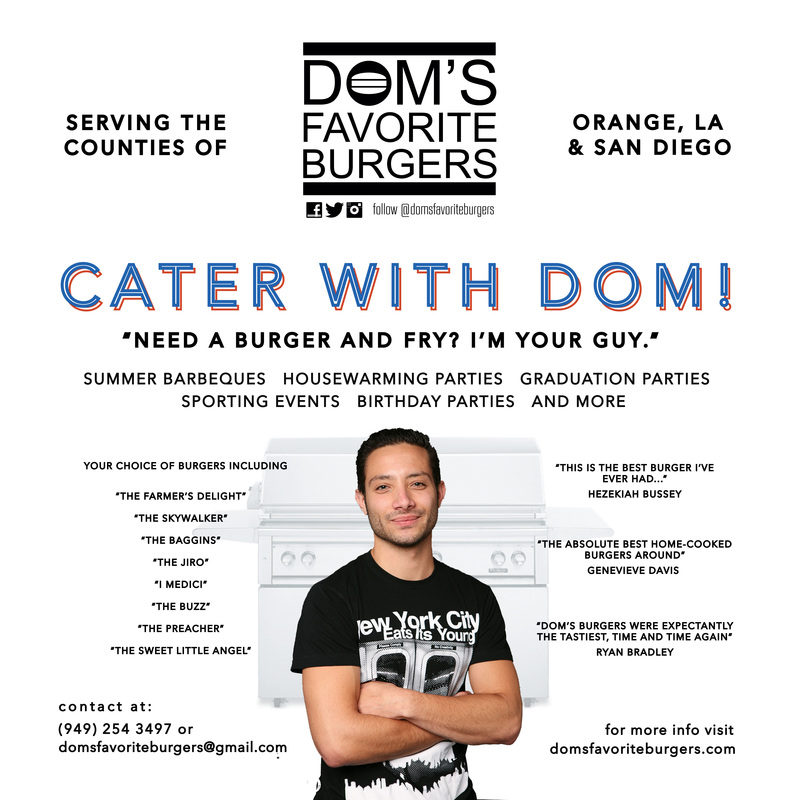 With big smiles, fast service, and quality ingredients, Dom’s Favorite Burgers is sure to make your party the most delicious event of the year! Happy 1-year Anniversary |DOM’S FAVORITE BURGERS|!